This card is included in Kylie Bertucci's International Highlights. 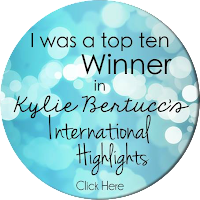 The top ten winners will be part of an international blog hop - so we're all keen to do well! Our theme for this highlight is Get Well Soon - a great way to cheer up someone who is feeling down. It's not always easy to come up with a get well card for the unwell men in our lives but this one just popped into my brain when I was browsing my stamp sets with this card in mind. 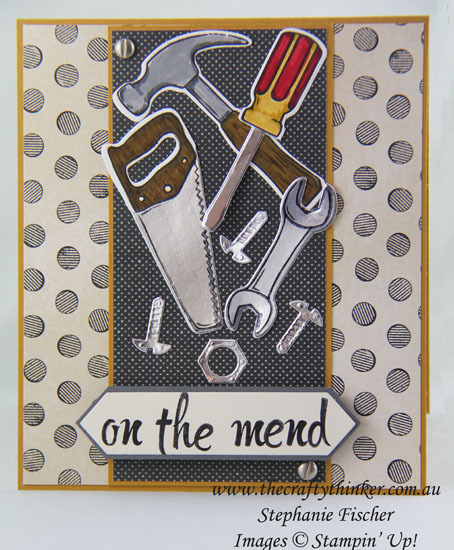 Mending ... tools .... Get well! I used the Brushwork Alphabet stamp set to create the greeting to go with the gorgeously masculine Urban Underground Suite. 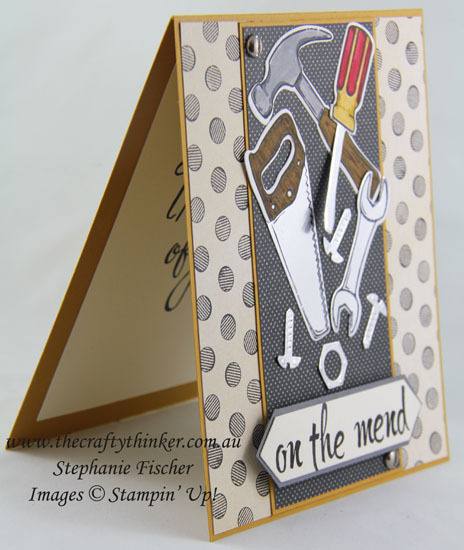 I used the wonderful Stampin' Write Markers to colour the hammer and the handles of the saw and screwdriver before cutting them out with the matching dies. I stamped the screwdriver, saw and spanner onto Silver Foil Sheet with Stazon ink (because it's a non-porous surface) and replaced the white screwdriver and saw blade with the silver ones. I spent far too long arranging the tools! I wanted them to look a bit random (I really don't do random well!) but also bring the eye down to the greeting - so they're in a sort of messy inverted pyramid. Inside the card, I stamped the large "Thinking Of You" greeting from the Time of Year stamp set because it fits nicely but also takes up plenty of space, so I don't have to think of anything clever to say! Thank you for visiting my blog today. Make sure you go over to Kylie's blog to vote for my project or any others that you like.